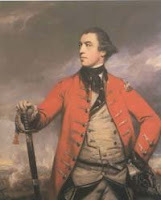 I sincerely lament the infatuation of the times, when men of such a stamp as Mr. Burgoyne and Mr. [William] Howe can be seduced into so impious and nefarious a service by the artifice of a wicked and insidious Court and Cabinet. . . .
What I have seen of Courts and Princes convinces me, that the power cannot be lodged in worse hands than in theirs; and of all Courts, I am persuaded that ours is the most corrupt and hostile to the rights of humanity. I am convinced that a regular plan has been laid (indeed every act since the present accession evinces it) to abolish even the shadow of liberty from amongst us. It was not the demolition of the tea, it was not any other particular act of the Bostonians, or of the other Province which constituted their crimes; but it is the noble spirit of liberty pervading the whole Continent which has rendered them the objects of ministerial and royal vengeance. Burgoyne responded with a proposal that the two officers meet at Enoch Brown’s tavern to discuss matters. That tavern sat on Boston Neck between the town’s fortified gates and the provincial lines; the British army was using it as a forward base. Lee wanted to take up this invitation, and asked the Massachusetts Provincial Congress to send someone along with him. The congress named Elbridge Gerry of Marblehead as their representative, but also expressed worry that the two generals might end up negotiating without due regard for Americans’ chosen representatives. 8th [July]. Saturday morning at half past 2 waked up with roaring of cannon and small arms upon the lines which continued two hours. Brown’s house burnt. A little after two o’clock in the morning, a number of volunteers, under the command of Majors [Benjamin] Tupper and [John] Crane, attacked the British advance guard at Brown’s house, on Boston Neck, and routed them, took a halbert, a musket, and two bayonets, and burnt the two houses. Crane led an artillery company with two brass field-pieces that raked the tavern with grapeshot, forcing the British soldiers inside to run away. Newell also described the British response on the 9th: “The Regulars last night made an advance battery near Browns on the Neck.” And then the American response to that: “10th July. Provincials last night attacked the Centinels at the lines, and burnt Brown’s shop.” Burgoyne and Lee never had their meeting.